The loss of a child is something that every parent hopes to never encounter and many families live with every day. The holiday season can be very challenging for parents as they are faced with the task of celebrating when they are grief stricken and sad. There are ways in which you can honor a child that has passed and keep them a part of the your holiday celebrations. This not only helps keep your child’s memory alive but also can bring comfort to your heart and ease some of the grief. One way in which parents can honor their child is to write them a letter. The letter can express whatever you choose. Maybe it’s a recap of life and what has happened in the last year. Perhaps you can write a poem or verse from a favorite song that reminds you of your child. The letter can express your sadness, your anger over your loss, your struggles and your fears. If it’s in your heart, write it down. And this isn’t just for parents. Siblings, grandparents, anyone that was a part of the child’s life can take part in writing a personal note or letter, expressing whatever they’d like. What do you do with the letter? You can take all the letters from the family members, tie them together and attach helium balloons to the letters. Find a high point, a place of special meaning, your own backyard and let the balloons take the letters up to your child. Save the letters in a box and put them away, unopened. Burn the letters and gather the ashes to release over the resting place of your child or save them and create a memory book from the letters. The options are limitless. There are other personal ways in which you can honor your child this holiday season. Choose a specially designed keepsake in their memory. 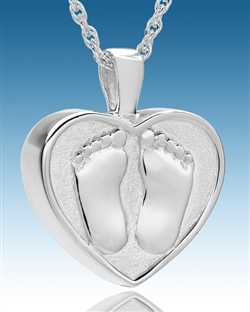 Pendants, rings, bracelets and other styles can be filled with a small amount of cremated ashes or another tribute to your child and provide a discreet way to have your child with you always. Choose a glass keepsake and add a small scroll with your child’s name and dates of birth and death and display the keepsake on your Christmas tree or holiday garland. Give them as gifts to loved ones that are also struggling as a way to share in honoring a child that was loved by many. Photo engraved keepsakes are another way to remember your child this holiday. The keepsakes come with and without an internal urn and can be laser engraved with an image of your child. The resulting image is black and white grayscale regardless of the color of the initial image and you can submit any digital image of your child that holds special meaning. The photo pendants can be worn as a pendant or hung from a clear filament from the rearview mirror of your vehicle. Sometimes when you’ve experienced loss one of the best ways to honor your loved one is to give back to others. Whether it is something as simple as donating your time in a local soup kitchen or volunteering to read to children in the hospital or starting a foundation in memory of your child, giving back to others that are in need can fill a void and fill your heart. It can be an organization that you turned to in a time of need or simply a cause that you are passionate about – whatever works best for your individual situation. Giving back isn’t just about time. Sometimes, time is the one thing we are short on. Financial donations to organizations and charities is another way to give back and for those who are struggling with their loss and aren’t ready to donate time, this is a great option. Non-profits and charitable organizations depend on the donations of others to help continue their efforts and every dollar goes towards helping others in need. You can make the donation in your child’s name and make them a part of something that is impacting the lives of others. • Name a star. There are online companies that for a small fee let you name a star in memory of your child or loved one. Most often you receive a certificate of registry or something similar that gives the location of the star and the name it was given. • Create an online memorial. Several sites offer free online memorial hosting. You can add pictures, poems, journal entries and music and create a collaboration of memories of your child. Do it as a surprise and present to the entire family during the holiday celebration. • Choose a symbolic gesture or gift in memory of your child. Choose an annual ornament for your child and each year let someone different hang on the tree or mantle. Place an electric candle in the window with a specially chosen colored bulb and leave it on during the holidays as a reminder of a child that could not be there. Create a way to remember your child each year during the holidays and keep their spirit with you. • Adopt a family. There are many grieving families that simply can’t afford to provide gifts for one another during the holiday season. Assisting them with gifts for the family eases some of the stress of the holidays and this can also help with easing some of their grief. The kindness of others can be of great comfort to those that are struggling. The heartache and grief after losing a child does not just go away one day. It is a part of us for the rest of our lives and what changes is the way in which we cope with our heartache and our grief. Whether it’s paying respect to your child by giving back to others in need, choosing a keepsake to hold a memento in their memory or choosing an ornament every holiday to pay tribute to their life, honoring the life of your child during the holidays can help to ease the heartache and bring some comfort to a grieving heart. has resource articles for parents that have suffered the loss of a child and a wide assortment of keepsakes for parents and families that honor the life of their child.